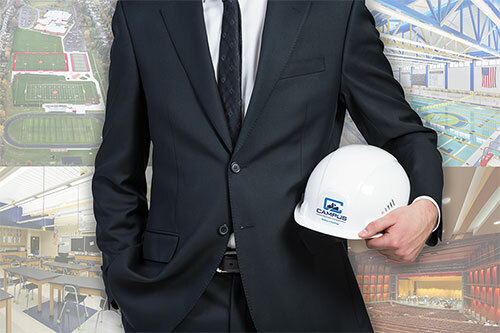 Over the past two decades, members of Campus CMG have completed over $3 billion in construction management projects. All of this work entailed construction phase services of one type or another, and was accomplished utilizing a team approach. Our personnel therefore understands construction and exceeds our client's requirements time and time again. In addition, they recognize each team member's field of expertise and the importance each has on the success of the projects. Our "Owner level" involvement in every one of our projects assures our clients that their facilities will be completed according to their expectations...on time and within budget. All our services can be customized to suit your needs. For more details on the services we offer, choose a link from the list.